Posted on June 30, 2011, 12:25 pm, by Clivus New England, under Clivus New England News, Educational, Featured Project, Nepon 3-ounce Foam-Flush Toilet. 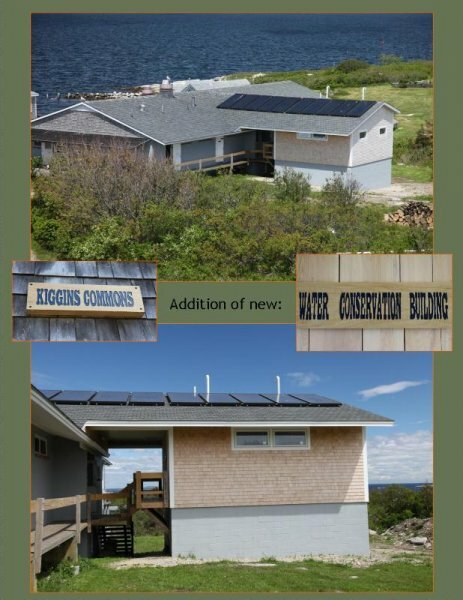 Shoals Marine Lab Goes Sustainable! 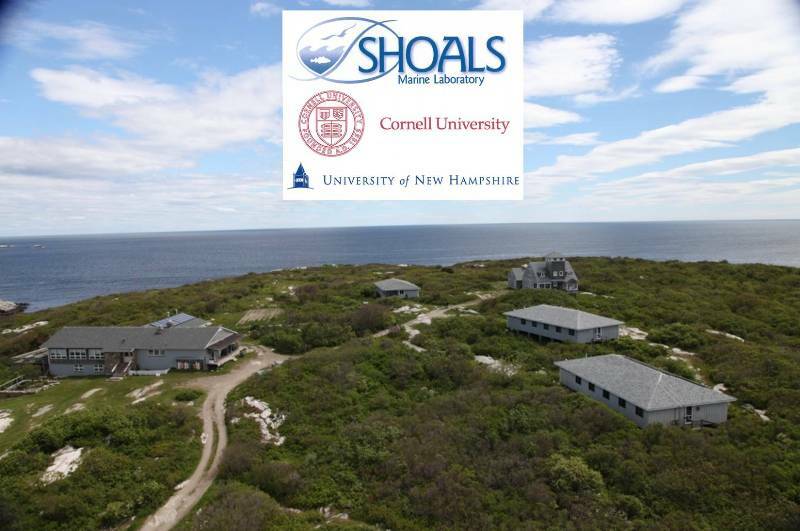 Six miles off the Coast of Kittery, Maine, and Portsmouth, NH, sits the 95 acre Isles of Shoals island of Appledore, home to the Shoals Marine Lab. Operated jointly by University of New Hampshire and Cornell University to provide marine biology, ecology, and sustainability courses to boarding students, it has become increasingly necessary to conserve what little fresh water is available and to reduce solid and liquid waste output and fuel usage. With over 100 students stationed on the island for the summer season fresh water is at a premium, and desalination processes can use thousands of gallons of fossil fuel. Historically wastewaters have been treated with high doses of chlorine and were subsequently pumped out to the ocean, but the state of Maine has ceased issuing overboard discharge permits, and septic tanks needed pumping every three years. Barges would ferry the septic pump trucks to the island, and diesel powered pumps would transport fresh and waste water around the island. 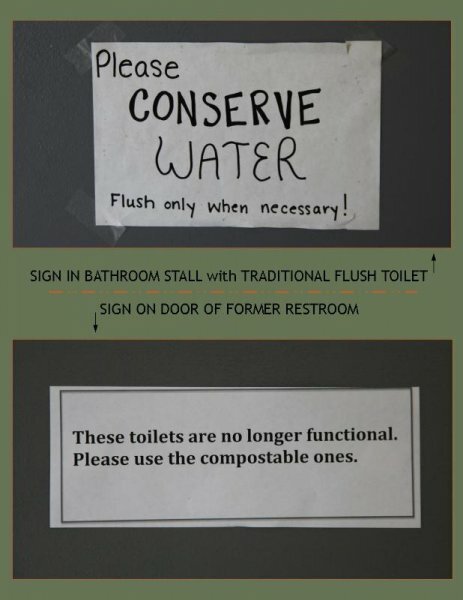 In an effort to reduce costs, conserve fresh water and fuel, reduce air pollution, and eliminate polluting discharge produced by traditional toilets the Universities have added a “composting toilet” wing to the Kiggins Commons building which houses the main kitchen, dining hall, and a bank of showers and restrooms. 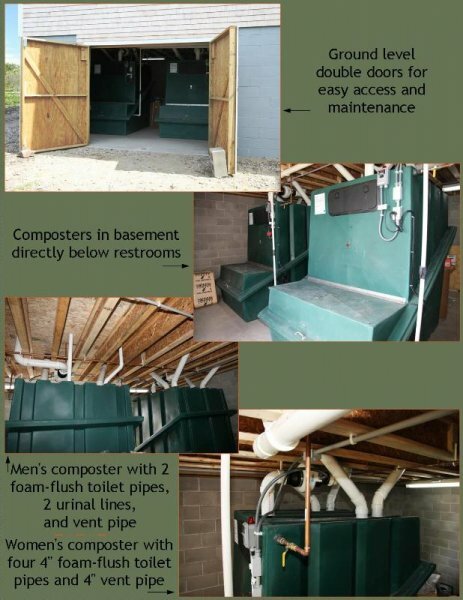 The composters are fitted with several foam-flush toilet fixtures, each using only 3 ounces of fresh water per flush as opposed to the 1.6 gallon toilets they replaced. Fresh water used for flushing is reduced by 97%, and solids are biologically treated in the composters where the waste is reduced by 95%. The finished compost is soil-like, pathogen-free humus that can be used on island to grow non-edible native plants. Liquid drained from the composters has been pre-treated in the composting process and meets EPA swimming quality standards and is sent to the septic tanks with greywater from showers and sinks. 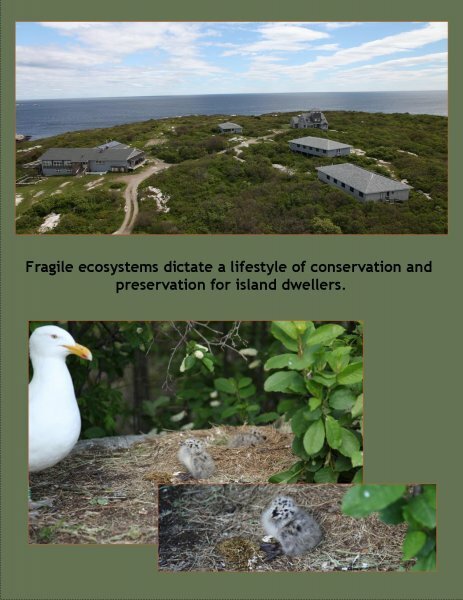 It is anticipated that the septic tanks can now go up to 5 years between pump-outs and it is no longer necessary to ferry chlorine canisters to the island. “Our overall goal is to reduce our dependence on diesel fuel as much as possible,” said Ross Hansen, director of operations at Shoals Marine Lab.1 There are now fewer boat runs to the mainland, and there is a drastic reduction in fresh water use and reliance on diesel fuel to pump water around the island. 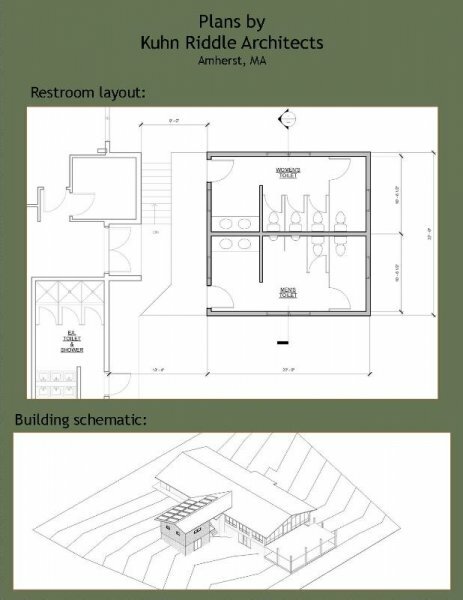 The composting toilet addition to Kiggins Commons was made possible through a $160,000 Field Stations and Marine Laboratories grant from the National Science Foundation.